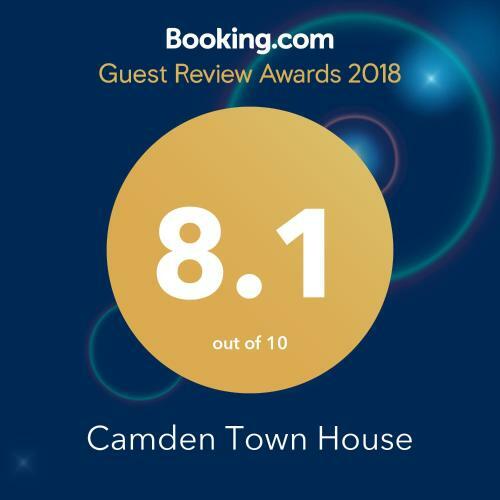 Camden Town House in London is a holiday home with 1 room. 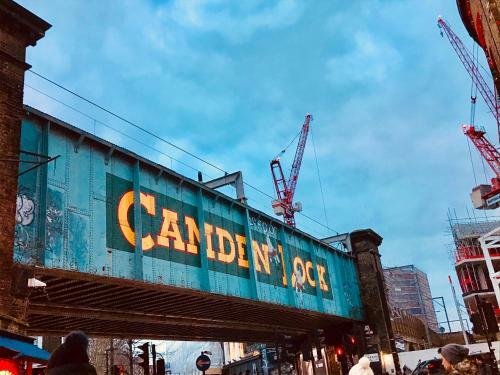 Set less than 1 km from Camden Market, 2 km from London Zoo and 2 km from King's Cross Theatre, Camden Town House provides accommodation situated in London. 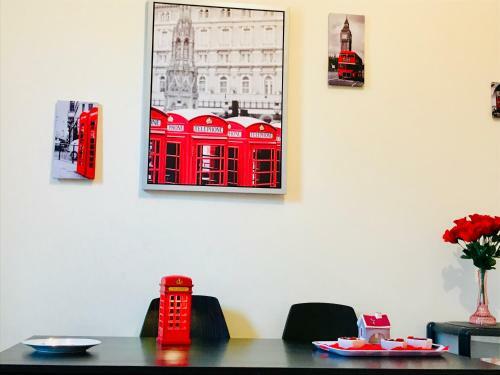 The accommodation is 2.9 km from the Regents Park and has free WiFi. The holiday home has 2 bedrooms, a flat-screen TV with satellite channels and a fully equipped kitchen that provides guests with an oven, a microwave, and a washing machine. The property also has 1 bathroom fitted with a bath and free toiletries. British Museum is 3.2 km fr...om the holiday home. The nearest airport is London City Airport, 16 km from the property. 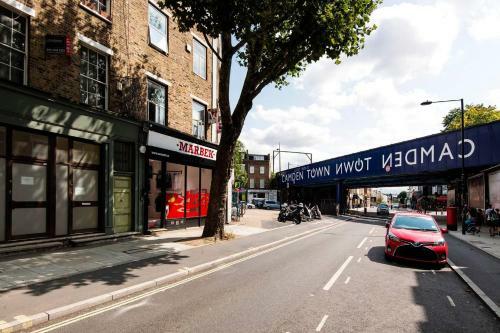 Set less than 1 km from Camden Market, 2 km from London Zoo and 2 km from King's Cross Theatre, Camden Town House provides accommodation situated in L...ondon. The accommodation is 2.9 km from the Regents Park and has free WiFi. The holiday home has 2 bedrooms, a flat-screen TV with satellite channels and a fully equipped kitchen that provides guests with an oven, a microwave, and a washing machine. The property also has 1 bathroom fitted with a bath and free toiletries. British Museum is 3.2 km from the holiday home. 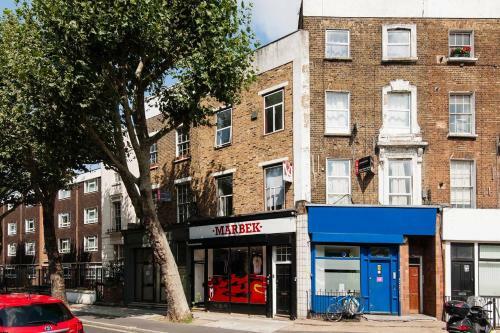 The nearest airport is London City Airport, 16 km from the property. 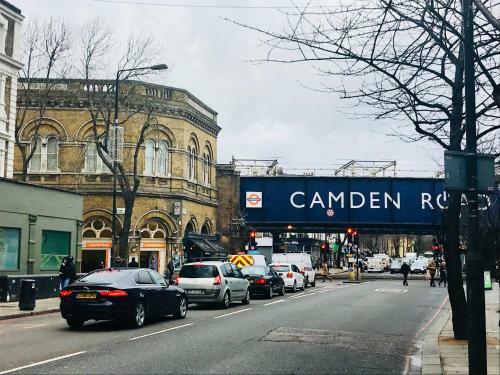 When would you like to stay at Camden Town House? 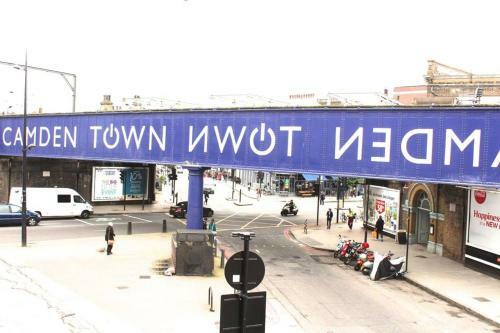 Please inform Camden Town House in advance of your expected arrival time. You can use the Special Requests box when booking, or contact the property directly with the contact details provided in your confirmation. This property will not accommodate hen, stag or similar parties. Payment before arrival via bank transfer is required. The property will contact you after you book to provide instructions. A damage deposit of GBP 99 is required. The host charges this 14 days before arrival. This will be collected by bank transfer. You should be reimbursed within 7 days of check-out. Your deposit will be refunded in full via bank transfer, subject to an inspection of the property.